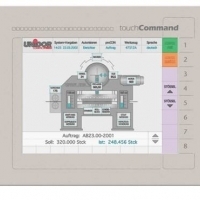 Shop Floor Connect OEE and downtime tracking software along with the SMI 2 machine-mounted interfaces collect important efficiency data from any machine with little or no operator involvement. ShopFloorConnect displays information in real time, so problems can be addressed as they happen. 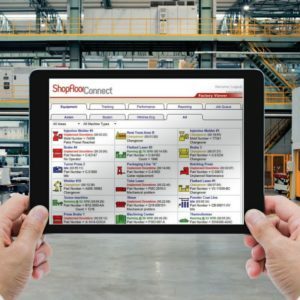 ShopFloorConnect allows you to quickly identify under-performing machines and the reasons for under-performance – enabling you to focus your valuable resources where they will do the most good. “Plant floor visibility from anywhere. Sensors for press and tool protection and monitoring – The right sensors for your tool & press – every time. The range includes optical sensors, digital opto sensors, analogue opto sensors, miniaturized single & multibeam light barriers, piezo-electric sensors, eddy current sensors, acoustic emission sensors. Our sensors guarantee a long and reliable operation even under the toughest conditions. In the broad application area of industrial image processing we are able to supply systems strictly concentrating on measuring & inspection tasks like the highly accurate part dimensioning, detection of position, control of completeness etc. 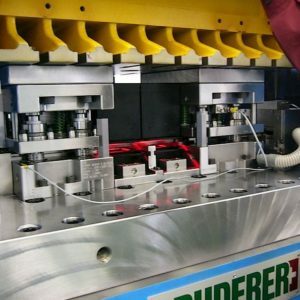 Furthermore can also apply systems for surface inspection of single parts and band material.